Tom Holland said Michael Keaton quotes "Batman" on the set of "Spider-Man"
Learning what goes on behind-the-scenes of major movies is always super fun. And we’ve basically been hanging on Tom Holland’s every word when it comes to the upcoming Spider-Man: Homecoming. From the sounds of it, Holland and his costar Michael Keaton have been really hitting it off. 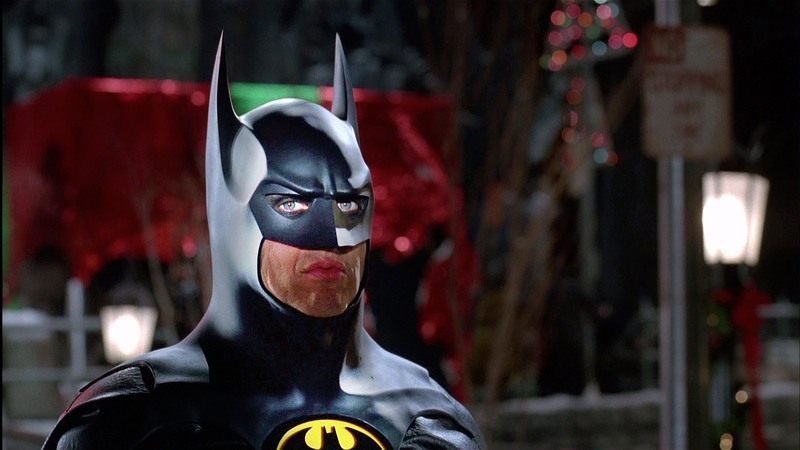 Mostly because Michael Keaton keeps joking around with Holland between takes. According to Digital Spy, Keaton quotes lines from his famous Batman series to the young Spider-Man. Keaton, of course, is playing the Marvel villain Vulture in the new movie. But he’s certainly not new to the superhero world, thanks to his background as the famous D.C. hero. And he’s playfully made sure the new Peter Parker knows who’s boss. After a fight sequence where Holland hits Keaton, Spider-Man got a surprising response from Vulture. As Holland explains, "We have a fight in the movie and I punch him. He turns around and says [in a deep voice], 'I'm Batman'." The young actor added, "He kept doing Batman quotes on set." Of course, Keaton has been pretty open to talking about his superhero past. In fact, part of the reason Birdman was so magical was because so much of it seemed to parallel with Keaton’s experience as Batman. But it’s absolutely delightful to picture him spewing iconic Batman lines while on the set of another soon-to-be-iconic movie.